Our agritourism offers you local and seasonal dishes. This is why everyone will find their costs repaid; be it that you rather have traditional Istrian dishes or you prefer innovative dishes prepared in a traditional way, but always with an up-to-date vision of the culinary creations. We believe in nature’s purity and strength, and this is why a vast majority of our dishes are made of home-grown food. This is how we give you the essence of the fundamental and absorbing tastes of the Mediterranean and Istrian cuisine. We offer lunches and dinners to individual guests or groups up to 60 people. A reservation is necessary prior to a visit. At your every visit, you are offered some of the home-produced liquors to warm your throats: the cubbles (orehovec), the artichoke liquor (artičoko), the jujube liquor (žižole), the common rue, the refosco liquor, the wormwood liquor, etc. 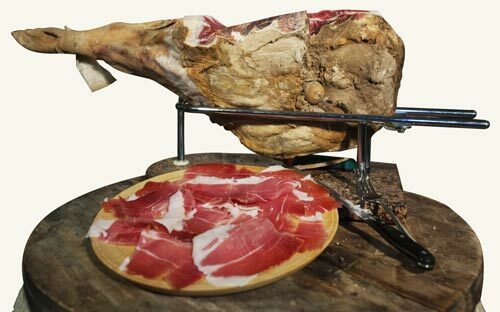 Our offer presents you some home-produced types of dried meat (prosciutto, bacon, “ombolo” – loin, sausages, etc. ), vegetables (home-grown eggplant in olive oil, olive cream, “bakala” – stockfish, etc. 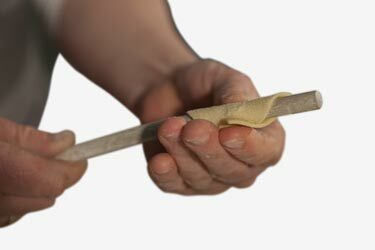 ), corn stew “bobići,” “fuži” pasta with truffles, “rezanci” pasta in the Istrian way, dumplings with game goulash and other season food. Everything is prepared using home-grown spices as well as olive oil. 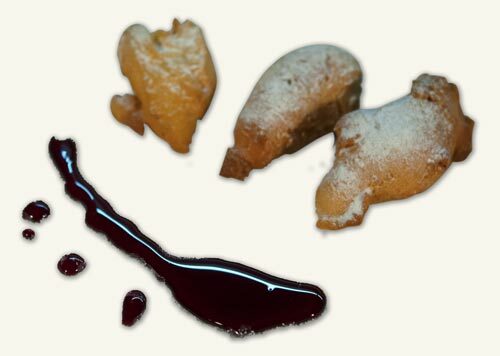 For dessert, you can try our “štruklji” – filled dumplings, “hroštole,” season fruit pies, etc. To make your meals even more enjoyable we offer you the wines from our home “kantina“(winery): Malvazija, Refošk and Rumeni Muškat. Discover the charms of the Istrian cuisine and pamper your taste buds.